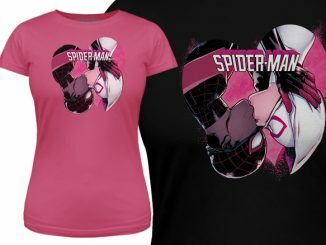 The Spider-Gwen Reveal T-Shirt reveals one of the best things to come out of Marvel’s Spider-Verse series. 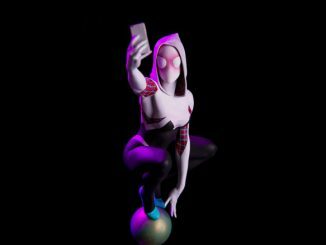 If you’re a Spider-Man fan, you’re probably aware of the recent Spider-Verse storyline. 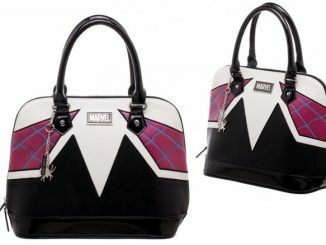 It featured more Spidey characters than you can shake a web-shooter at. 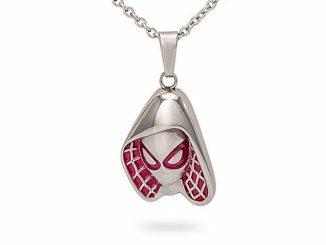 A few of the characters have been seen before (Spider-Ham, animated Spider-Man from the cartoon series), a few will quickly be forgotten, and a couple became instant hits. 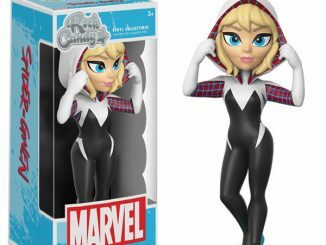 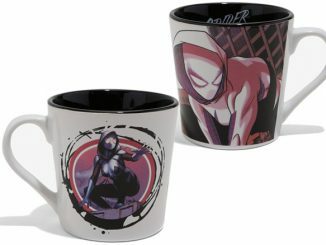 Gwen Stacy of Earth-65 gained an almost-instant fanbase as Spider-Woman… known to fans as Spider-Gwen, and now she has her own comic book series… and t-shirt. 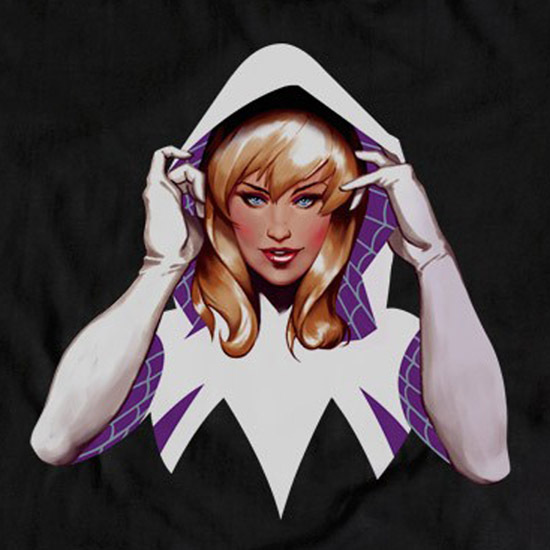 The 100% cotton tee features Gwen as she reveals the face behind the mask. 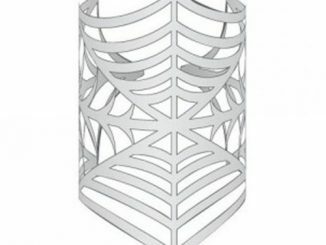 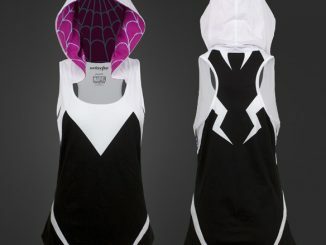 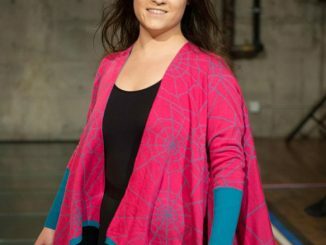 The Spider-Gwen Reveal T-Shirt is available for $25 at WeLoveFine.com.